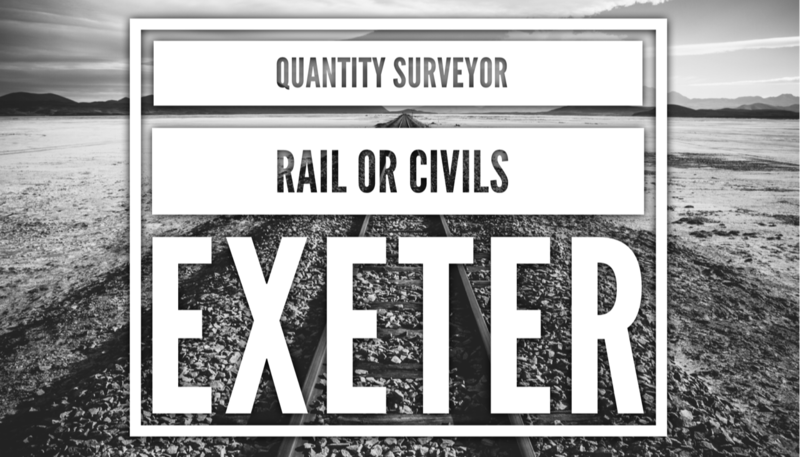 We have an exciting opportunity for a Quantity Surveyor to join the Rail team of our Tier 1 Main Contractor client to work in Exeter. This a fast moving role encompassing small civils works ranging from £20k to £1m. It suits someone who has reactive framework experience, good subcontractor management and demonstrable experience of client interface. Preparing and implementing project specific commercial strategy to ensure robust Cost Management and production of Project Monthly Reports in accordance with the Rail Reporting timetable. Ensure Measure and Value is accurately and auditably measured in a timely manner to comply with financial guidelines. Ensure robust Cost Control & Budget Management through the implementation of commercial review processes in accordance with the GMCE's and Commercial Manual monitored via commercial dashboards. Ensure contemporary Record Keeping is undertaken by the Project/Contract and are organised to enable retrieval and access as defined by the conditions of contract. Produce and maintain “First Principle” detailed Forecast Cost to Completion underpinned by a fully resourced programme in accordance with GMCE requirements. Previous experience in Quantity Surveying, at least part would have been obtained in a similar, relevant environment. Our client is an international leader in rail infrastructure engineering projects and the UK's largest rail engineering and services provider. We offer a full range of rail infrastructure activities from high-speed rail to mass rapid transit, covering urban, rural and commuter routes, for both public and private railways.